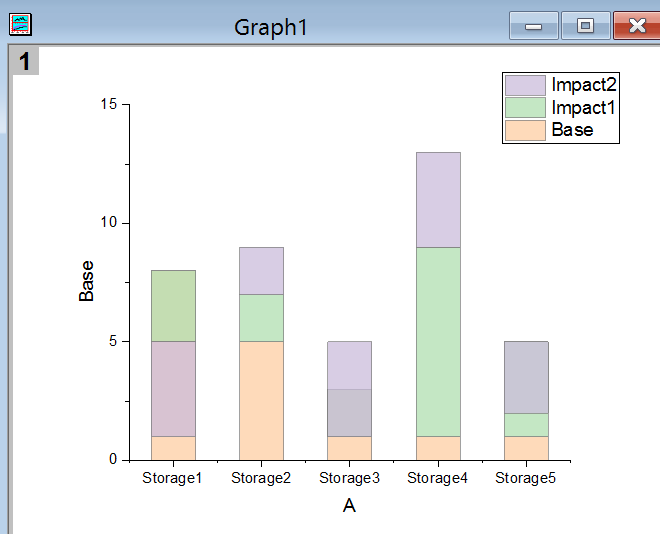 When positive and negative values are plotted into stacked column/bar plot in Origin, all positives are stacked together and plot upwards and all negatives are stacked together and plot downwards. See the middle graph below. 1. Open the unzipped opju file. 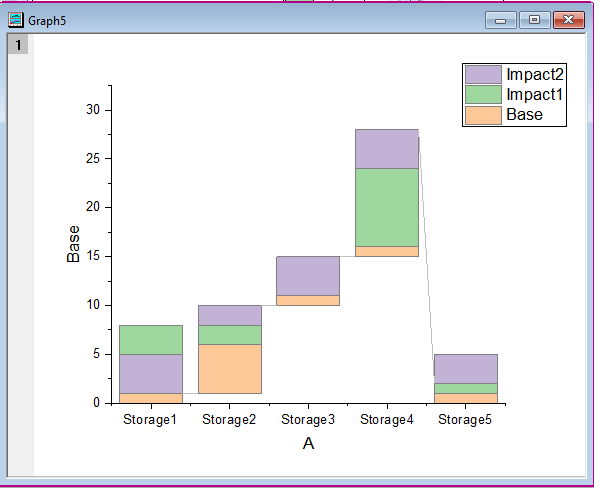 Highlight columns B to D. Select from menu Plot:Bridge Chart:Stacked Bridge. 2. 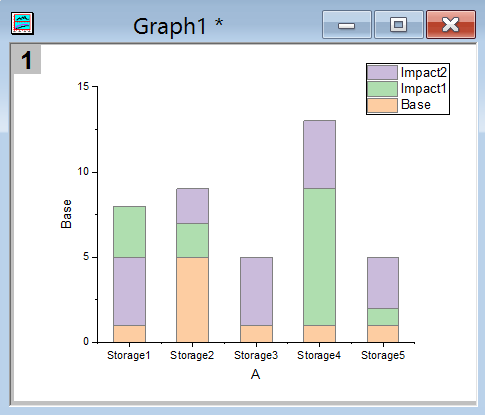 Then make the following change: Double click the graph to open Plot Details dialog, switch to Spacing tab, change Gap Between Bars(in %) to 50, Enable Subset by Size 2 so every column starts from x axis. 3. No hide the connecting lines between columns, select Layer1 in the left panel. Go to Bridge Chart tab. Uncheck Show Connect Line. 5. Notice there are only 2 bars in Storage 3. It’s because negative value in Impact1 was blocked by later positive value in Impact 2. 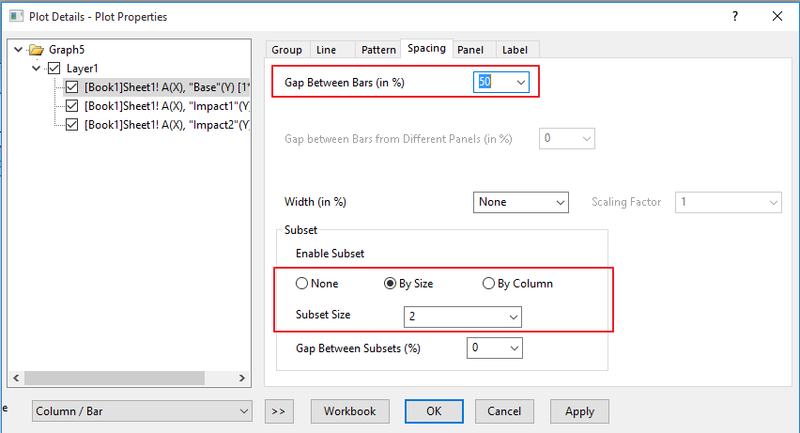 Go to Patterns tab and set Transparency to e.g 26 so impact1 can be seen. The final graph looks as below.